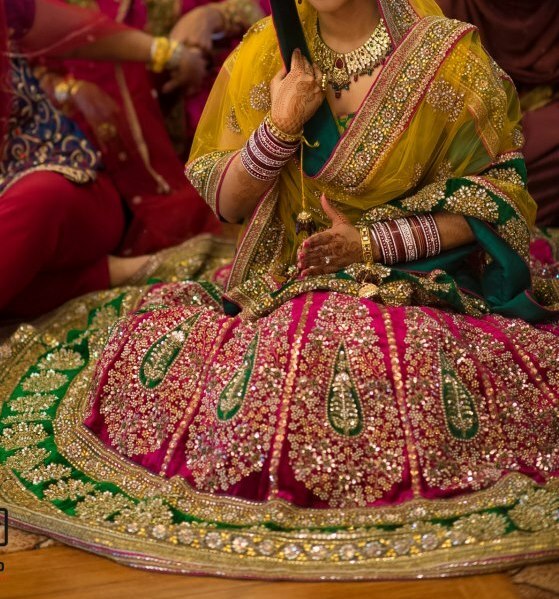 Don’t we all wonder that which colored lehnga looks the best on the bride on her wedding day? Well! When we step out in a local market or a well-known brand, we see a lot of varieties of shades and designs but all these plethora of designs/colors do not answer our confusion but play a tickling and annoying role of making us more and more confused. 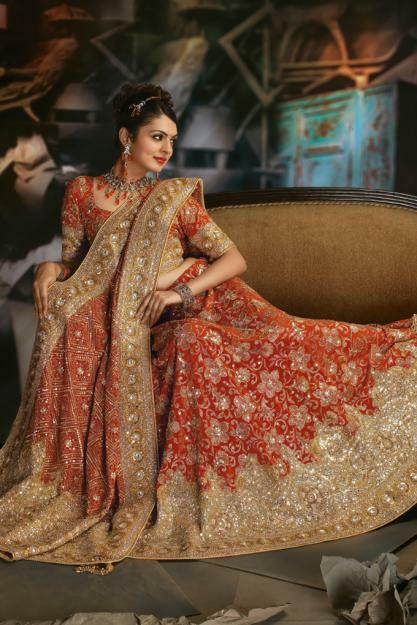 As we all know that a traditional bridal lehnga is more or less revolves around the color red and its various shades, but now days the trend has changed, you can see that a lot of other colors like peaches, greens, blues, yellow, oranges, purple, pink etc are chasing the red traditional bridal lehnga. 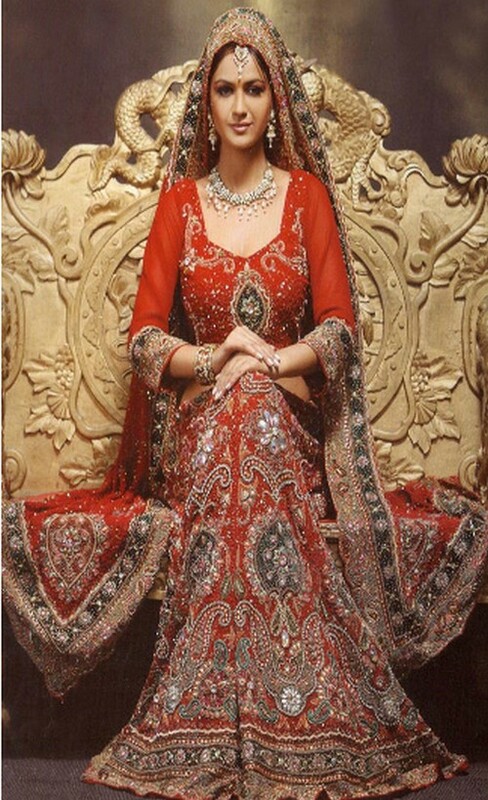 Today, I have collected some of different designs and colors which according to me will look very beautiful and charming on a newly wedded Indian bride. 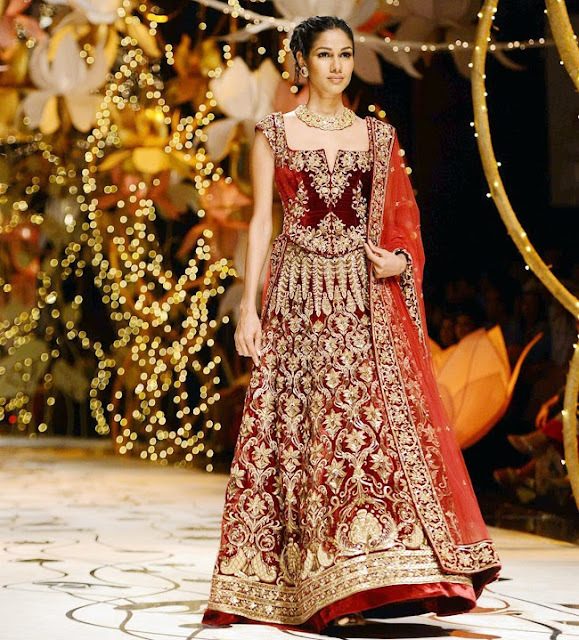 Let’s have a look at some of the designs and colors that a bride to be could wear with flair and charm. This baby pink violet shade lehnga along with light shades of blue and a bit of red looks chic and adds Indian traditional touch too. 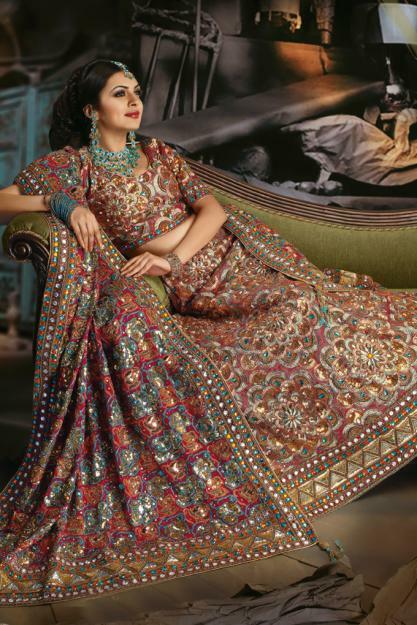 I like this lehnga which portrays the combination of orange, bronze, blue, red and gold. Blue jewelry complements it well. This is one of the best combinations. I love the combination of golden yellow and red. 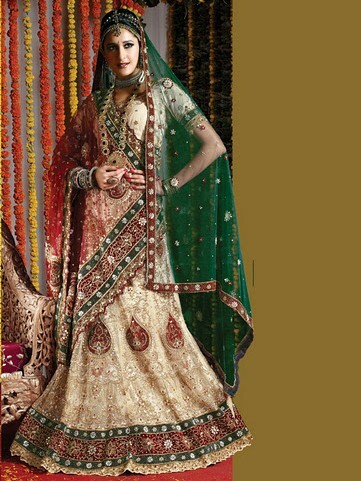 Katrina looks really hot and a true Indian bride in this beautiful lehnga. Minimal jewelry complements her look very well. Dark red+brownish shade on velvet steals the show and heart’s here. This orange and peach shade combination with golden work works very well for me. I love this combination of Maroon and Yellow. Love its design too. Orange+Green is an absolute yes for any bride. 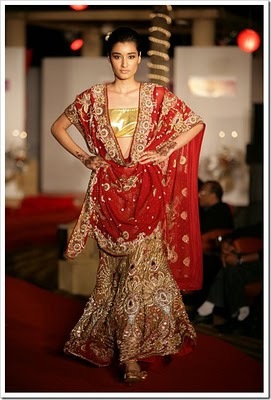 Bronze, Brown and Golden lehnga looks just wow. This color combination is one of my personal favorites. Cream+Maroon+Dark Green together can do wonders. 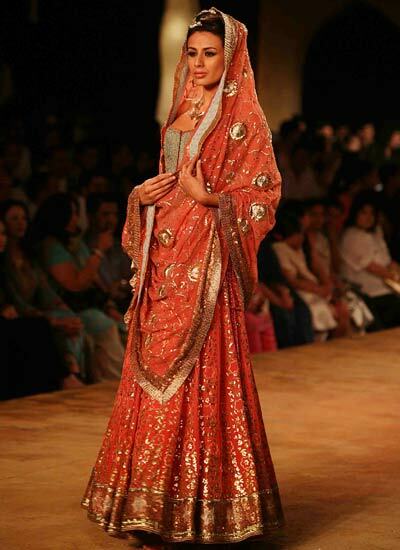 Orange shade lehnga flaunted by Actor Shilpa Shetty is just wow. I love the jewelry too. So girls! Which one is your Favorite? ?